Please select at least 2 items to compare. Ready to shop for the hottest devices? Enter the zip code of the area where you will be using your Straight Talk device the most. 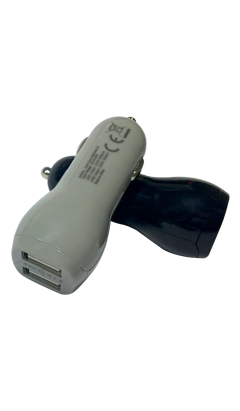 3.4 Amp Dual Port USB Car Charger, Grey. No termination fee or penalties. Own your phone after completing the payment period. Not all applications are approved for $2000 of equipment, or 90 day BuyOut option. Lease terms vary and customers receive 6,8,10,12,18 and 24 month offers. With Early Payoff, you save on total fees paid. There was an error submitting your email. Please try again. We are sorry but this device is not available currently! *TETHERING TO ANOTHER DEVICE IS PROHIBITED. OTHER LIMITATIONS APPLY. Please refer to your terms and conditions. Please know as part of your Phone Monthly Payment Plan Agreement with SmartPay you need to maintain active service. If your service does not remain active during this period, SmartPay will automatically purchase your current monthly service plan. Currently, our phone monthly payment plan only allows customers to purchase one device at a time within the cart. Pre-order this item today and we'll ship it as soon as it's available. Shipping dates are estimates. We'll email you when it's on the way and you won't be charged until it's shipped. †Please allow 24 - 72 hours after activation of the additional line for the gift card claim code to be processed. Gift card claim code has no cash value. Must be 18 years or older to participate. A U.S. address is required for delivery. Other restrictions may apply. Purchase and activation of new line required by May 15th, 2019 to qualify for promotion. Upgrades and reactivations not valid for promotion. Airtime service plan required for activation. Plans and phones sold separately. Promotion valid for one-time use. Promotion available online only for phones valued $30 or more. This is a lease-to-own transaction. Not available in MN, NJ, WI, and WY. Well-qualified credit may be required to purchase. Customer will not own the device until all payments are made, but may be able to exercise an early purchase option. The customer may end the lease and return the phone at anytime.Lease-to-own requires a Straight Talk 30-Day Unlimited plan and is additional. Wireless service is subject to Straight Talk Terms and Conditions, visit StraightTalk.com. SmartPay is an independent company that is leasing you the phone. Straight Talk is not a party to any transaction you make with Smartpay. For no credit score path, FICO score will not be used to determine eligibility, but credit information and consumer reports will still be reviewed. Approval not guaranteed. Reward Points can only be applied towards an eligible Straight Talk plan when you accumulate the total amount of points needed. Reward Points have no cash value and cannot be transferred to another customer. Additional terms and conditions apply. Discounts vary by merchant, location and offer; subject to availability. Offers may change without notice. Total savings vary based on the number of discounts and coupons redeemed and value of offers. Friend must switch to Straight Talk and join our Rewards program. Each referral will give you enough reward points for a free $50 plan. Additional points are required for higher priced plans. Points earned through referral program are not immediately accessible and will take 60 days before they can be used. ††Based on a comparison of the average cost of the $45 Straight Talk Service Plan plus average sales tax and fees and the average total monthly cost on an individual 2-year service contract plan with unlimited talk, text and comparable high speed data on the top two carriers. Plan costs include all taxes, fees and overage charges. Source: Nationwide survey conducted September 2016. Straight Talk reserves the right to terminate your service for unauthorized or abnormal use. Straight Talk® is a registered trademark of TracFone Wireless, Inc. 2019 TracFone Wireless, Inc. All rights reserved. All other trademarks, service marks, and trade names referenced in this site are the property of their respective owners.